Zero Trust is a cybersecurity model with a very simple premise: eliminate the concept of “trust” from your network. It means that no communication, system, user, or machine, can access any part of your network without inspection and validation. 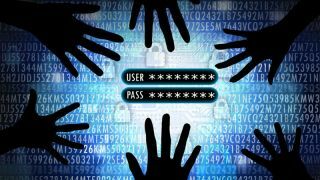 Everything and everyone must be authorised, which guarantees that cybersecurity practices are implemented consistently and effectively throughout a business’s entire infrastructure. When strictly adhered to, a Zero Trust model of cybersecurity can help prevent data breaches. After all, stopping data breaches is the grand strategic objective of cybersecurity. Everything else is just peripheral. The adoption of Zero Trust is transformative for many organisations. It resonates strategically with the highest levels of the organisation but is tactically implementable using commercial off the shelf technology. The beauty of the Zero Trust model, unlike other models, is that it aligns with overall business functions. Most organisations are split into different departments and not all teams require the same amount of privileges so enforcing strict access privileges is a priority. Different SLAs, admins, audit requirements, regulations, and certifications necessitate flexibility and transparency for auditors and management. Infrastructure and security teams need an architecture that allows for quick changes and optimizations unhindered by controls and complexity. For this reason, the Zero Trust model has been designed to be as flexible as possible and never utilises only one single approach. Added to which, it can be designed specifically around the data, applications, assets, or services that an organisation needs to have protected. Today, companies are looking to leverage technology to position their internal technology management toward better security and manageability. Many organisations are trying to reimagine security outside of the traditional parameters and redefine their security practices to meet both current threats and dynamically changing business needs. Cost management: Security teams often face significant restraints on financial, budgetary, and organizational resources. Zero Trust initiatives help maximize resources. Many companies adopt a startup mode when beginning the Zero Trust journey. Therefore, they handle their money very carefully, making sure spending is in line with the team’s core competencies, in terms of manageability, maintainability, and scalability. Personnel resources: Working teams are already lean. Companies face staffing issues and most of the staff is already strained by daily operational needs. Zero Trust teams must start small and leverage the existing architecture and technology to address the environment in a new way. Legacy architectures: Traditional IT is inefficient. Most existing networks have grown organically and are not designed to be agile and efficient enough to meet business needs. New innovations, such as cloud computing and user mobility, mean that organizations can no longer stay within the bounds of old IT’s capabilities. Zero Trust uses technology and architecture to its advantage to make IT a business enabler instead of a business inhibitor. Cloud enablement: Server virtualization and cloud services change the rules of the game. Most organisations want to collapse the network infrastructure to reduce the number of servers by leveraging virtualisation and public cloud infrastructure. The security aspects of these technological shifts remain challenging. How do you put security controls in a virtual environment? How is traffic going to be managed? What happens when applications and data are in multiple clouds? How do you maintain visibility and control? Zero Trust network architecture is virtualised and cloud-friendly. Significantly, Zero Trust delivers tangible capital and operational cost benefits. Zero Trust networks require fewer people to manage large, complex, and more secure deployments. Companies experience reductions in people and equipment costs, as well as improvements in uptime and failure rates. With greater regulatory scrutiny that is only going to intensify, implementing Zero Trust makes auditing much more straightforward, simple, and quick. Zero Trust networks often have fewer audit findings because auditors can understand and conceptualize them more easily. Many compliance items are built into a Zero Trust network by default, and many current audit requirements were designed to uplift legacy networks and are not applicable in Zero Trust environments. Cybersecurity is becoming a strategic issue for all kinds and sizes of organisations operating in our digital economy and societies. The Zero Trust model enables them to significantly prevent and control the risks of cyberattacks, while continuing to grow and flourish.